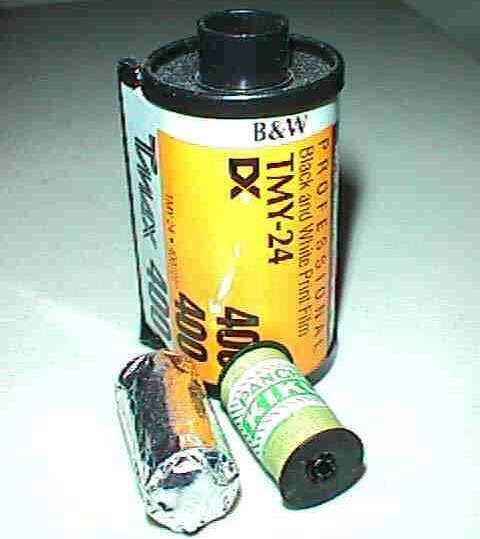 This is a box of film for making ten 14X14mm exposures per roll bearing the name KIKU. This name was also used for one of the largest and heaviest cameras to use this film, the KIKU 16. Inside where 6 foil wrapped rolls of film. On one side is printed - SPECIALIZED FOR TOY CAMERA and on the other side is NON HALATION FINE GRAIN HIGH SPEED - DEVELOP BEFORE DEC 1968.